Seven-time Grammy award-winning gospel artist Kirk Franklin's faith wasn't always as strong as it is today. His father abandoned his family; his mother constantly told Kirk that he was an unwanted child and left him to be adopted when he was four; his sister became a crack addict; he never saw a black man who was faithful in marriage. Despite his shaky foundation he found strength and success through his music and through God. 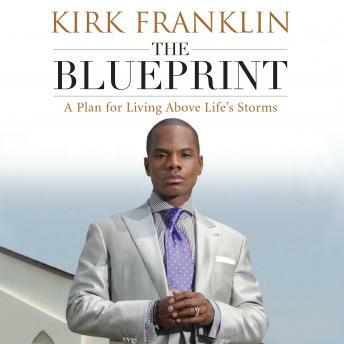 In The Blueprint, Franklin will explain how, by communicating with life's architect, God, he learned to see hardships as necessary life propellants and moved on to become the bestselling gospel musician in recent history, as well as a devoted husband and loving father. This is not a step program, it's a lifelong journey. Franklin's real world words of wisdom will help guide you to: • Pursue your dreams without losing yourself in the chase. • Do some lifescaping to eliminate the "weeds" that hold you back. • Declare your life to be drama-free. • Get past your fears so you can live and love fully. • Pass the baton to future generations by leading by example.